The medication oxazepam (brand name Serax, among others) is used for short-term relief of anxiety, tension, agitation, and irritability. It's also used to treat anxiety associated with depression and with alcohol withdrawal and cocaine withdrawal. Oxazepam is an older medication, having first been marketed in 1965. Since it's been around so long, it's available almost exclusively as a generic drug—brand name versions like Serax are difficult or impossible to find. However, the generic versions of the medication should work as well as prescription versions. Oxazepam is a benzodiazepine. As with all medications in that class of drugs, you can become addicted if you use the drug too frequently or for too long. Oxazepam works slowly compared to other benzodiazepine drugs. Oxazepam appears to work particularly well to control anxiety and irritability in older people, including those with dementia. While benzodiazepines are often avoided in elderly people, this drug offers an effective and potentially safer choice when this class of medication is needed. As with all prescription drugs, oxazepam has potential side effects, some of which may be serious. The most common side effect seen with the use of oxazepam is drowsiness or lethargy, especially when you first start to take the medication. If this is too big a problem or lasts for more than a few days, talk to your doctor about reducing your dosage (which almost always solves the problem). When starting oxazepam, you shouldn't drive or perform any other potentially hazardous activities until you know how you will react to the medication (and even then you should practice caution). Combining oxazepam with alcohol, opioid medications, or other substances that depress the central nervous system could result in serious complications, even death due to suppression of the breathing center in the brain. Those with a history o f psychosis should not be prescribed oxazepam. Likewise, the medication should be avoided in anyone with a history of addictive behavior. An exception, of course, is when the medication is used for alcohol withdrawal symptoms. 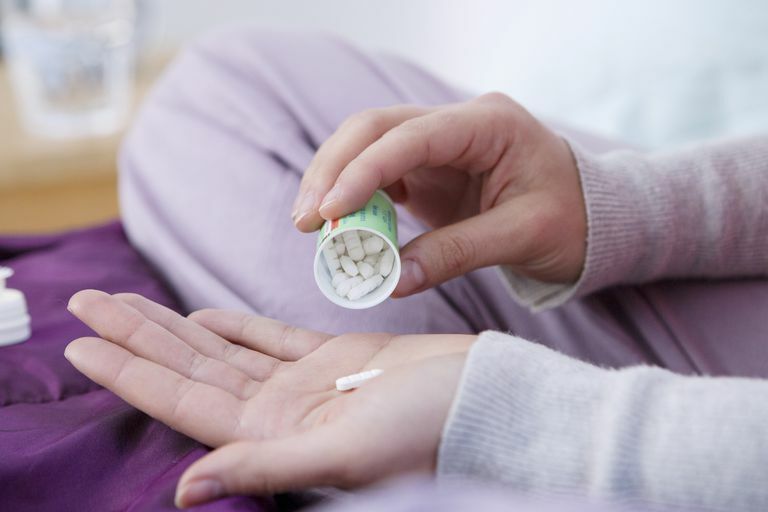 When oxazepam is used for alcohol, cocaine, or other substance abuse withdrawal, a person should be closely monitored for the duration of the time the medication is used. According to the U.S. Food and Drug Administration, animal tests showed oxazepam to be significantly safer in terms of toxicity than either Librium (chlordiazepoxide) or Valium (diazepam), two other benzodiazepines. These tests also showed that commonly used doses of oxazepam are less likely than equivalent doses of other benzodiazepines to cause dangerous side effects. Because other drugs in the benzodiazepine family have been shown to cause birth defects, you should not take oxazepam while pregnant. If you accidentally become pregnant while taking it, talk to your doctor. The medication should be stopped as soon as possible in pregnancy, but due to the possibility of withdrawal, this should only be done under the guidance of your physician. Oxazepam will pass through into your breast milk, and therefore should not be used by nursing mothers unless you and your doctor decide the expected benefit of the drug outweighs the risk to the baby. Abrupt discontinuation of oxazepam or any other benzodiazepine, especially after extended therapy, can cause mild to severe withdrawal effects. For those who have been using oxazepam for some time, withdrawal can be very serious, and even fatal. Because of this problem, you should try to use the medication for as little time as possible, and discuss with your doctor how to taper your dosage off gradually. Never discontinue the drug suddenly. Oxazepam can be a useful medication for the acute treatment of anxiety or alcohol withdrawal, and since it may have fewer side effects than some of the other benzodiazepines, may be a good choice in certain circumstances. At the same time, it's important to understand that benzodiazepines are strong medications with a potential for abuse and serious side effects, both due the side effects of the drug alone or in combination with other drugs, and due to withdrawal side effects when it is discontinued. Tampi, R., and D. Tampi. Efficacy and Tolerability of Benzodiazepines for the Treatment of Behavioral and Psychological Symptoms of Dementia: A Systematic Review of Randomized Controlled Trials. American Journal of Alzheimers Disease and Other Dementias. 2014. 29(7):565-74. U.S. National Library of Medicine. Medline Plus. Oxazepam. Updated 09/15/16.